If the sharing economy came to supplier/vendor-customer relations, the speed of product development based on rapid information transfer would dramatically rise. 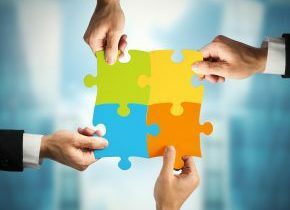 The typical approach to research and discovery by those seeking a clear path towards a procurement decision is often built on existing relationships and less on spreading a wide net for thought leaders, and much less on collaboration opportunities. MHI membership spans the entire supply chain and material handling spectrum, and leveraging that into collaborative engagements with the customer (end-user) community will drive both product development and intelligent purchasing. The sharing economy is generating a host of interesting effects on “traditional” business thinking and strategy. The private individual example that applies most readily is the process a lot of people now use to find their next piece of electronics or other home goods. It wasn’t that long ago that when shopping for new washing machine, a buyer relied on a lot of advertisements, and perhaps a trip to the magazine stand, to find objective reviews. Now the process can easily include logging into specific online product forums, reading reviews by other purchasers, online review sites, etc. All of which is really nothing more than sharing perspective and expertise amongst those with a common interest. Those who take this approach typically feel they have achieved good value for their money, which by the way, is nothing more than the comfort of having handled a seemingly complex set of variables with skill—the skill generated by a crowd of equally interested people!